What's New for the 2018 Honda HR-V? 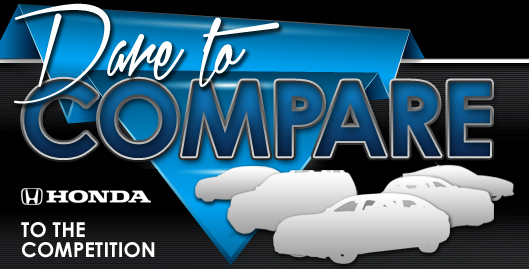 With several subcompact crossovers on the market today, your task to select the ideal one for you to buy is seemingly complicated at first glance. While all models have their pros and cons, it is difficult to look past the stunning style, excellent safety ratings and overall thoughtful features loaded into the 2018 HR-V. The 2018 model is mostly unchanged in comparison to the 2017 model. The primary changes are to the wheels in some trim levels and the addition of a new exterior color option. There are three trim levels available for SUV buyers to choose from when looking at the 2018 Honda HR-V. From lowest to highest, the trim options are the EX, the LX, and the EX-Navi-L. All trim levels are well-appointed, but higher trim levels have more advanced features included as standard equipment. The base EX-trim level has thoughtful features such as split-folding rear Magic Seats, 17-inch alloy wheels, an excellent sound system, power windows and locks, climate control, a multi-angle rearview mirror, a backup camera and other great features. If you select the more advanced LX trim level, you will enjoy all of the EX-features as well as superior wheel options, automatic climate control, a Lane Watch safety feature, a push-button ignition, keyless smart entry, heated mirrors and front seats and more. 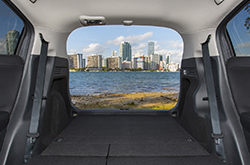 The EX-Navi-L is the most advanced trim level, and it gives you leather seats, HD and SiriusXM radio, roof rails, and a satellite-linked navigation system. You can choose between eight exterior colors, including the new Aegean blue hue. Two interior colors are available with all trim levels. You may think that a small SUV like the HR-V would lack in the power and performance area, but this is not the case. 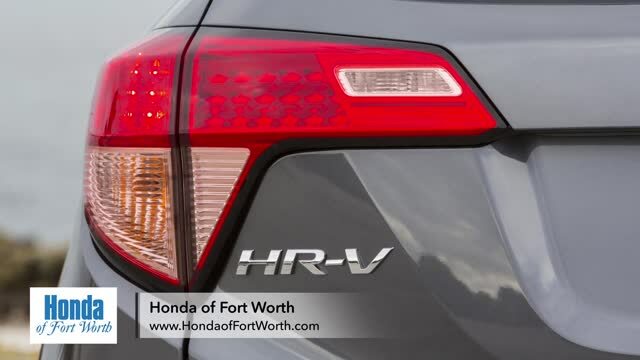 When you test drive the HR-V at Honda of Fort Worth, you can delight in the experience provided by 141 horsepower and 127 foot-pounds of torque. 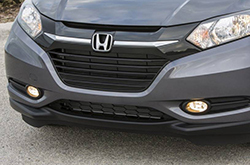 The Honda HR-V is delivered with a four-cylinder, 1.4-liter engine that takes regular unleaded gas. 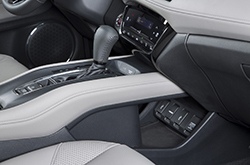 A manual transmission is standard with the two lower trim levels, and all trim levels are available with an optional continuously variable transmission. You can also choose between a two-wheel drive and an all-wheel-drive design. 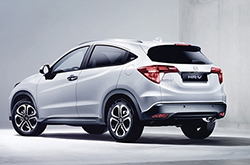 A few of the other features that enhance your experience behind the wheel of your HR-V include traction and stabilization features, variable valve timing, direct fuel injection and an independent suspension system. Before you finalize your plans to buy the 2018 HR-V, you need to ensure that this is a safe vehicle to drive. In the NHTSA safety category for overall safety, this SUV also received the highest rating possible. 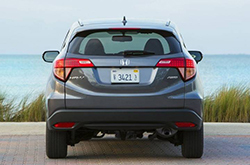 *** From bumper to bumper, the 2018 HR-V has an extensive list of standard safety equipment that can give you peace of mind on the road. The safety equipment includes front and side airbags, a front passenger airbag deactivation sensor, a post-collision safety system, engine immobilization, a multi-view rearview camera, a lane drift alert feature, and more. If you are ready to narrow down your options and get serious about your SUV buying plans, a trip to Honda of Fort Worth to check out the 2018 HR-V in person is an excellent idea. At Honda of Fort Worth, you can get your questions answered about the trim levels for the 2018 HR-V.
*Get Today's Price is available to all customers and can also be obtained by calling or coming into the dealership today. Purchase prices do not include tax, title, license and $150.00 doc fee. Prices include the listed Factory Offers and Incentives. Please verify all information. We are not responsible for typographical, technical, or misprint errors. Inventory is subject to prior sale. Contact us via phone or email for more details. *MPG Based on 2018 EPA mileage ratings. Use for comparison purposes only. Your mileage will vary depending on driving conditions, how you drive and maintain your vehicle, battery-pack age/condition, and other factors. *** NHTSA Government 5-Star Safety Ratings are part of the U.S. Department of Transportations New Car Assessment Program (www.safercar.gov). Model tested with standard side airbags (SAB).